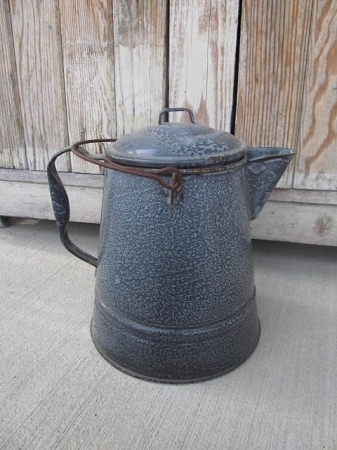 Vintage Antique Grey Speckle Enamelware Coffee Pot. It's in fantastic shape, nice and clean. Love the grey color. Has a lid. Display in your primitive farm house kitchen!!! Size is 10 1/2" x 8 1/2" diameter.